Order online now! 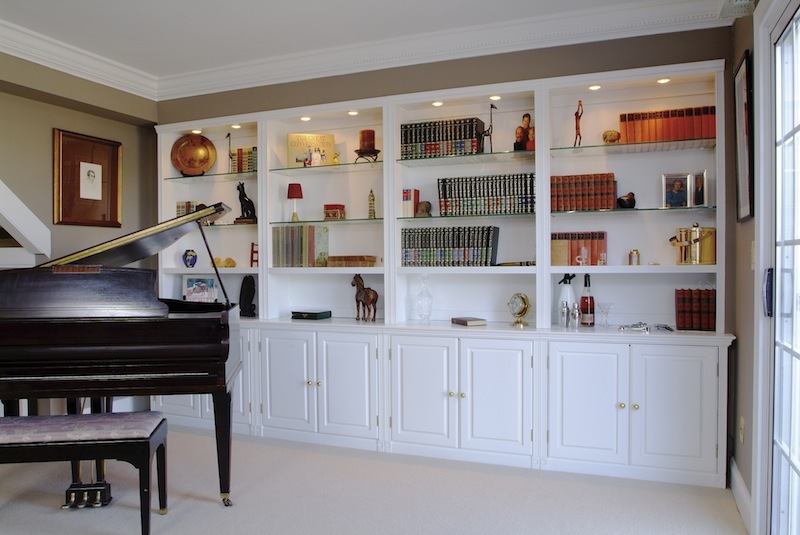 Bookcases, Cabinets, Entertainment, Office, Storage and More! 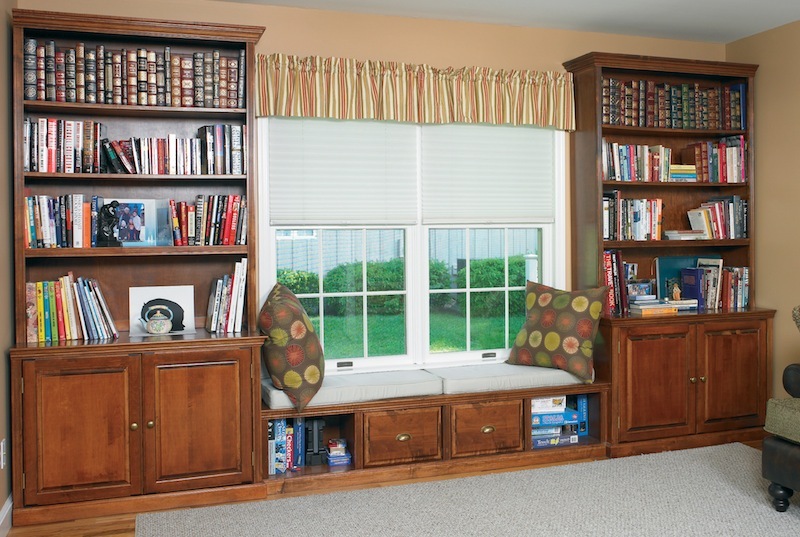 Customizable storage products like benches, cubbies, pantries, corner cupboards, and chests. 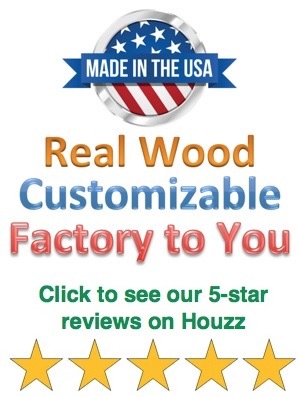 Built-to-order wood products in customizable styles, sizes, material, options and colors. Semi-custom at great prices. Need any options or sizes that are not listed? Just email us for a custom quote. We just made HUGE price reductions on our high-quality semi-custom Woodcraft kitchen cabinets, so you don't have to wait for a sale!!! All Arthur Brown, Woodcraft, and Canyon Creek products are now available in thousands of Benjamin Moore or Sherwin Williams paint colors! Above: Arthur Brown Federal Crown-style cabinets with raised-panel doors and hutches with optional glass shelves and lights. Click here for details on this wall unit. Above: Arthur Brown Regal-style CN5 Entertainment Console with raised-panel and glass doors, cabinets on each side, hutches above and bookcase bridge with doors above TV. Finished in black paint with optional stained beadboard backs on hutches and bridge. 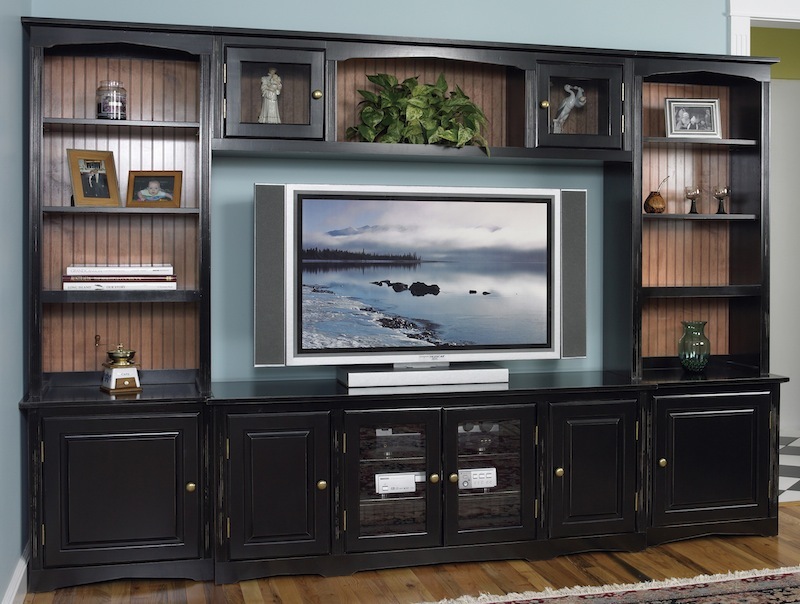 Click here for more details on this entertainment unit. Above: Arthur Brown Federal Crown-style cabinets on each side of a desktop with a keyboard slide. Hutches above each cabinet and a bookcase bridge with doors above. Click here for more details on this office unit. Above: Arthur Brown Face Frame Crown-style cabinets with hutches above on each side of a cubby bench. Deluxe base moulding and custom drawers. Click here for more details on this window unit. Above: Canyon Creek Shaker style doors on Cherry wood. 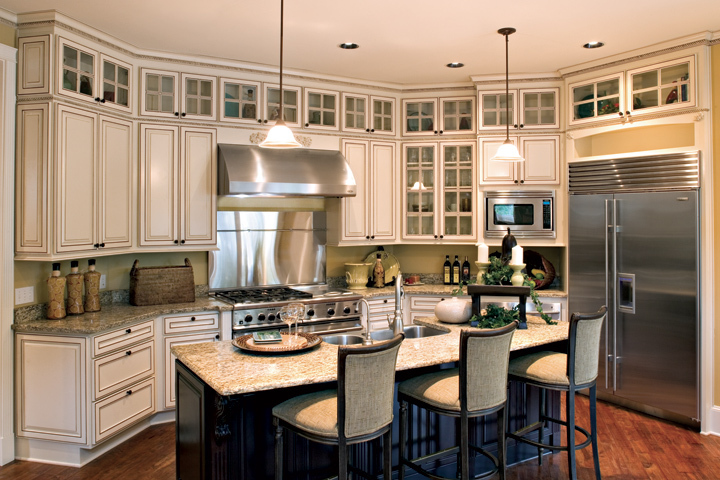 Click here for more details on ordering kitchen cabinets. 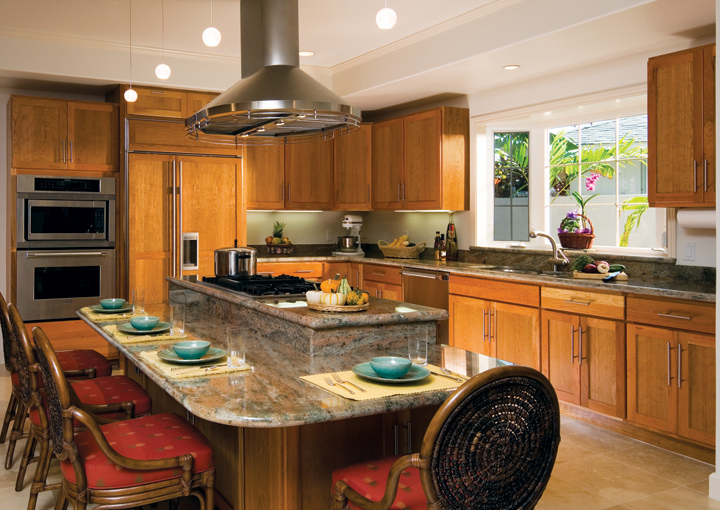 Above: Canyon Creek Hampton style kitchen. Click here for more details on ordering kitchen cabinets. Above: Canyon Creek Norwood Inset door style on Cherry wood. Click here for more details on ordering kitchen cabinets. Customize your home or office. To order online, click on the links above or below. Most products can be customized to your exact size requirements, are available at discount online prices, and are shipped directly to you via freight carrier. 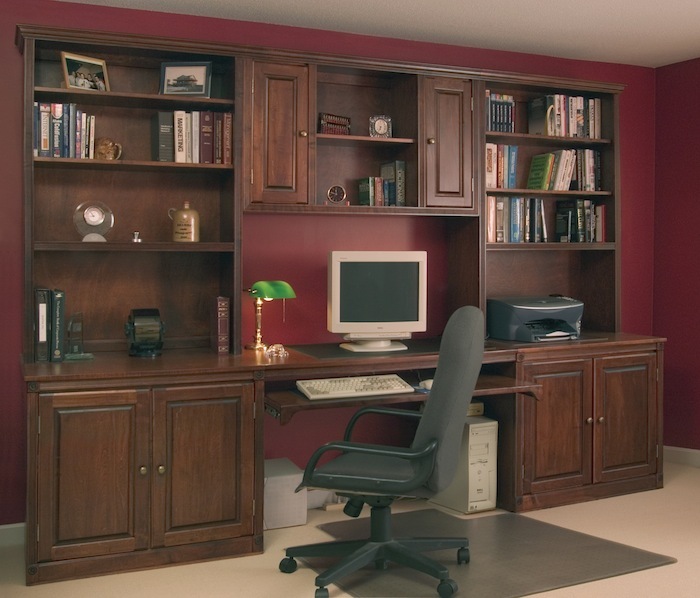 All Woodcraft and Arthur Brown products are available unfinished or finished in a variety of stain, paint, or specialty finishes! 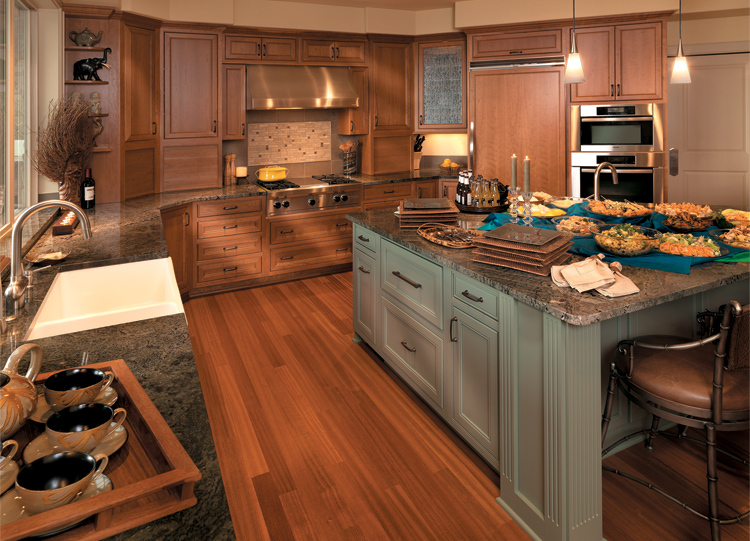 For an even greater selection of door styles, wood species, cabinet choices, and customization options, ask about our Canyon Creek custom cabinetry and design services program. 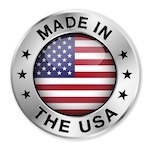 Our mission is to provide high-quality stock, semi-custom, or custom solutions at a great price. Telephone: 410-878-6289 | Email: customerservice@highlandsdesigns.com.